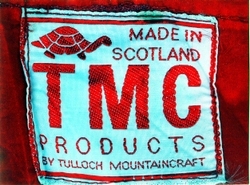 Red fleece TMC jacket with front zip and 2 side zipped pockets. Drawstring waist. 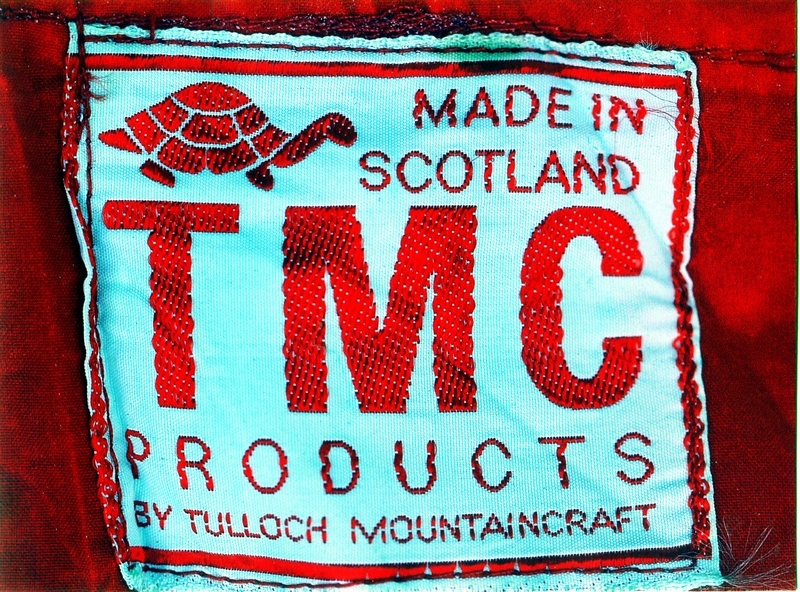 Inside labels read "MADE TO GRAHAM TISO SPECIFICATION" and "TMC PRODUCTS"
The company produced some fine gear, though little of it has survived through to 2014 when we are writing this entry. 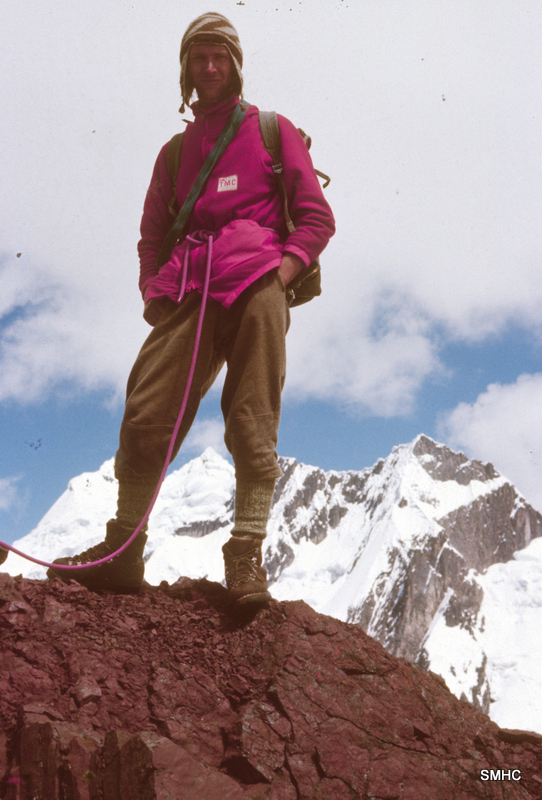 We have a few items in our collection and this rather threadbare fleece is one. 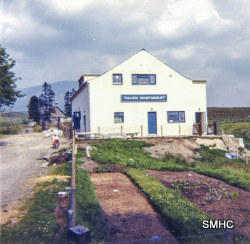 We are told that TMC made a lot of these fleeces for use on the new, at the time, Scottish Industry - oil. Good clothing was needed for folk working on rigs out in the North Sea and TMC apparently provided it. Mick Tighe acquired this fleece somewhere along the way and wore it, almost to destruction, before thinking it might be a wee bit of history worth keeping. As with so many of these small enterprises, TMC floundered around 1980 and Dave Challis moved to the Lake District to start a new business called Mountain Method which his daughter, Fiona, still runs.